More than one hundred thousand buildings in the United States are affected by mold. Mold causes millions of dollars in damage and lost property value every year, and places millions of Americans’ health at risk. AdvantaClean offers a full suite of professional mold remediation services in full compliance with EPA and IICRC guidelines. This includes safe mold identification, removal, and prevention of future problems for any type of property or situation. 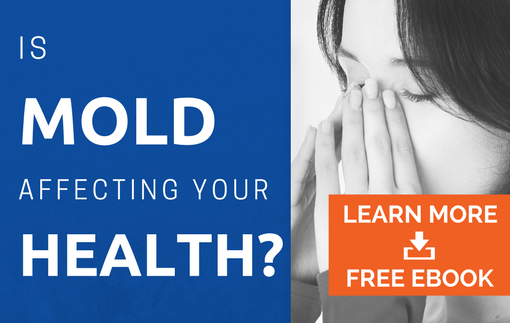 Mold is a serious health risk. Mold is a catch-all term that applies to any of hundreds of types of fungi that can grow in the right conditions. Mold types range from those that cause slight irritation to those that can be deadly. Mold can and does cause wheezing, coughs, respiratory tract infection, and hypersensitivity pneumonitis, according to the Institute of Medicine. While mold is a health risk to anyone, it is especially dangerous to the sick, elderly, and to children. Mold can grow in any environment that is relatively warm and damp. Mold often starts in kitchens, bathrooms, and laundry facilities, and can quickly spread throughout a property. Mold grows quickly on drywall, carpet padding, insulation, and wooden framework. Without proper prevention and maintenance, mold can quickly spread throughout a building’s walls, attics, crawl spaces, and basements. Mold can lower a property’s value by more than 10%, and can easily cause thousands of dollars in damage in a short period of time. If you are a Baton Rouge property owner, it is extremely important that any mold you find in your home or business is handled as soon as possible. The Center for Disease control recommends contacting a provider such as AdvantaClean of Baton Rouge immediately if you find mold in your home. Continued exposure to airborne mold spores places you, your family, and your pets at serious risk and can drastically lower your home’s value. We offer a full suite of services that can help prevent mold from growing on your property. By regularly inspecting and cleaning attics, crawl spaces, basements, and air ducts, you can stop mold at its source and keep your building occupants safe from harm. AdvantaClean of Metro Baton Rouge provides our community with mold inspection and remediation services in accordance with standards set by MICRO (Mold Inspection Consulting and Remediation organization). AdvantaClean of Metro Baton Rouge has a group of professionals that are Certified Mold inspectors as well as Certified Mold Remediation Contractors.